The starting series of " the Router Workshop". Smaller projects show that many of the techniques can be applied to both small and large projects. A complete listing of the projects from this series is featured below. This program is much more than a simple series opener. In addition to describing in detail the different routers and bits, Bob and Rick get down to some serious picture frame making. Bob shows how to use a sliding dovetail joint to produce an adjustable bookstand, and explains the important points of getting a dovetail joint to fit. Bob and Rick take the viewer on a guided tour of an easy-to-use table in which to mount a router and keep bits organized and within easy reach. How to make a mystery box that will have everyone guessing just how it is put together. Easily the most popular of first projects, this box demonstrates just how simple it is to get professional looking wood joints using a router. Don't measure. 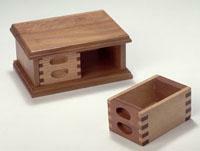 Bob and Rick show how to produce complicated looking box joints by using a simple jig and just one router bit. If you have to make it more complicated, Bob shows you how to convince yourself that you are really doing more than you are. While a rabbet-dado joint may sound like woodworking talk, this strongest-of-all method of joining two pieces of wood provides a powerful argument for the versatility of the router. Such a joint, used in this show to make a fascinating pencil box, needs five separate cuts to produce on a table saw, but can be made, virtually measurement free, with two cuts using a table-mounted router. 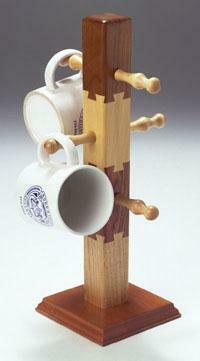 The sliding dovetail joints used in this show make a coffee mug tree that will have everyone guessing at how it is put together. As well there are tips on how to use common masking tape to get a splinter-free cut. 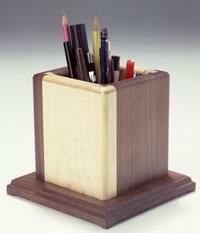 Throw in an inlaid pen stand and you have a show that you will want to watch time and time again. 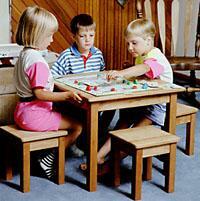 Even experienced woodworkers shy away from making tables and chairs, because it is so hard to attach the legs. Bob and Rick do it the easy way, using a router mitre that takes all the guesswork out of the job. They then show how to attach a seat or top to the legs using a method that is simplicity itself. 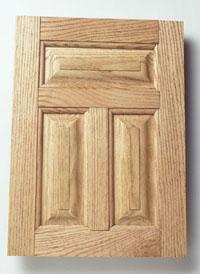 Most woodworkers are fascinated by panel doors but many have a workshop full of gadgets that are supposed to make these doors but don't work. In less than 20 minutes, Bob produces a three-panel door that doesn't need sanding, fits perfectly and doesn't need factory-type machinery to make. 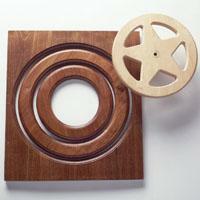 As Bob says, there are several ways to turn a square piece of wood into a circle. You can draw the circle and try to follow it with a band saw, but you will invariably create bumps. You can then take the piece to a sander and remove the bumps. 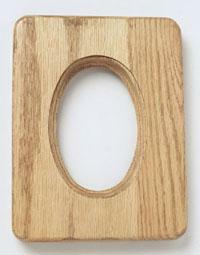 Or, you can use a router to get a perfectly round, finished wheel or picture frame. This is an episode you'll want to have on tape. Want to make more than one of a kind? Your router will do it for you. All you need is a pattern and a guide. 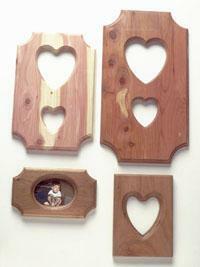 Make picture frames, candy dishes and other items that are identical. 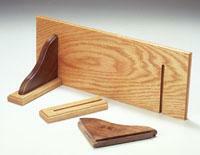 The hosts provide some handy tips on how to keep router bits or cutters from becoming damaged. 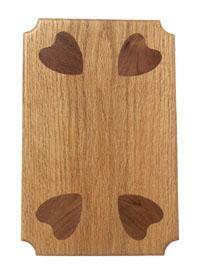 Decorative inlay work is never easier than when it is done with a router. Bob demonstrates his no-measure method of producing perfect inlays every time. There's even a tip on how to use your microwave to make your woodworking easier. As a bonus, Bob demonstrates a special cutter that makes drawer pulls. 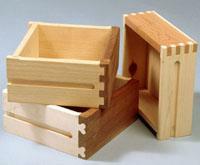 Make attractive, perfect drawers every time. Bob demonstrates his E-Z link fixture, which produces perfectly matching joints with no guesswork. Rick shows how to drill better cleaner holes with a router than anyone can get with a drill press. 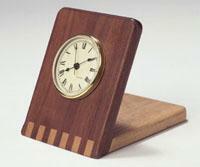 Here is something for woodworkers who take part in the ever-popular craft shows. It's the secret of making identical pieces using make-it-yourself pattern fixtures. Bob demonstrates how to make the patterns and how to use them most effectively. Copyright © 2001 - 2019 Woodgrain Productions Inc.